Our Sports Injury Course is totally dedicated to sports injuries, it is not a standard course with the word sport added. If you are involved in sport the course is ideal for you! Our Sports Injury Course has been specifically designed for Coaches, Trainers, Managers, Teachers, Parents and Officials who require the knowledge and skills necessary to manage sports injuries and medical emergencies on and off the field; safely, promptly and effectively prior to the arrival of professional help. This course will provide you with the knowledge and the confidence to manage an emergency. 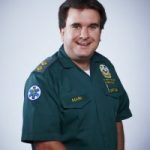 Your course will be run by one of our highly experienced tutors who are experienced in Pre Hospital Emergency Care. The course is suitable for all sporting disciplines and will award a qualification valid for 3 years. All Sports Injury Courses can be customized to a particular sporting discipline (Rugby, Football, Cricket, Athletics, etc.). people will be required to run the course at your venue. Resuscitation, including use of a Defibrillator.